I paced the ring nervously as Smackdown came back from commercial break. "Welcome back to Friday Night Smackdown and if you&apos;re just joining us, there is now a new match added to the card this Sunday," Michael said as the main screen showed that me and Stephanie would face, "It will be Gabby Bryan taking on Stephanie McMahon, one on one." 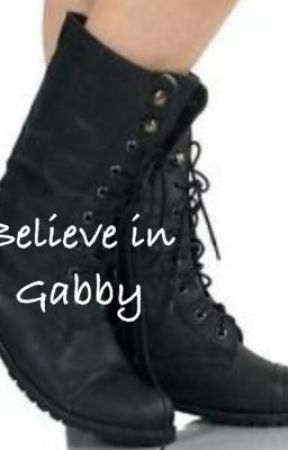 "This puts a lot of pressure on Gabby. She has a huge match and also a stipulation to the main event. She can&apos;t focus on anything else, no doubt," JBL said as I got on the top rope and laid down on top of the ropes, across the corner. "She&apos;ll have to, because Stephanie is forcing her to compete in a gaunt let match right now." Cole said, "Lets see who&apos;s first." Aksana&apos;s music hit as she walked on to the stage. She started blowing kisses as she walked to the ring. I watched her intently. The ref back me up as she got in the ring. Aksana stood facing me as the bell rang. We started circling before locking up. I quickly brought her over in a headlock. Aksana wrapped her legs around my head, causing me to let go. I pulled her legs apart and got to my feet. I took her down with an arm drag before applying an armbar. Aksana wriggled her arm out after a few seconds and I backed into the corner to regroup. We were about to lock up again, but I kicked her in the gut and started hammering on her back. She tried blocking me as I brought her to her feet and duplexes her. I pinned her for a one count. I shook my head as I flipped her over on her belly. The crowd cheered as I put her into a surfboard. After a while of her not tapping, I let go and pushed her away. I got to my feet and walked to grab her again, but she tripped me, causing me to hit my neck on the ropes. I held my throat as she grabbed my legs. She fell back, causing my throat to ram into the bottom rope. I coughed as she pulled me out and pinned me. I kicked out at two before she got me up and shoved me into a corner. She ran over to do a clothesline. I ducked away and rolled her up. She kicked out at two before I kicked her in the gut and hit a DDT. I pinned her again and sighed in frustration when she kicked out at two. I started kneeing her arm, trying to weaken it. After a while, I picked her up and twisted her arm around. My knee collasped under me as she kicked it and punched me in the face, causing me to fall back. She pinned me, but once again I kicked out before one. For the next two minutes, she took control of me. I was gasping for breath as she locked me in a headlock. The crowd started chanting my name as I slowly started getting back to my feet. My elbows started ramming into her stomach until she gave me a little bit if room. She grabbed my hair to yank me back down, but instead I lifted my leg up and knocked her arms away. I kicked her in the gut before attempting a sunset flip. She kicked out at two. I rolled onto my feet and started hitting her with clotheslines. After about three, I picked her up and threw her into the corner. I raced over and body slammed her before racing across the ring to the other corner. Aksana fell so that she was sitting in the corner. I raced over and climbing up the ropes and slammed my legs into her chest. "Gabby&apos;s going crazy ladies and gentlemen!" JBL exclaimed. I rolled back onto my feet and grabbed Aksana&apos;s feet. She held onto the ropes as I threw her up. I caught her into a power bomb position as I power bombed her in the middle of the ring. I pointed to the ropes as the crowd went crazy. I got on the apron and waited for Aksana to get to her feet. When she did, I jumped off the ropes and kneed her in the face. I pinned her for only a two count. "That was three!" I complained to the ref as he shook his head. I went back over to Aksana, but was caught into a small package. I was barely able to kick out as I rolled back onto my feet. I raced to Aksana, trying for another clothesline, but she grabbed me for a spine buster. I spun around in mid air and landed on my feet. I raced to the corner with Aksana&apos;s head locked in one arm and used the ropes for a shiranui .